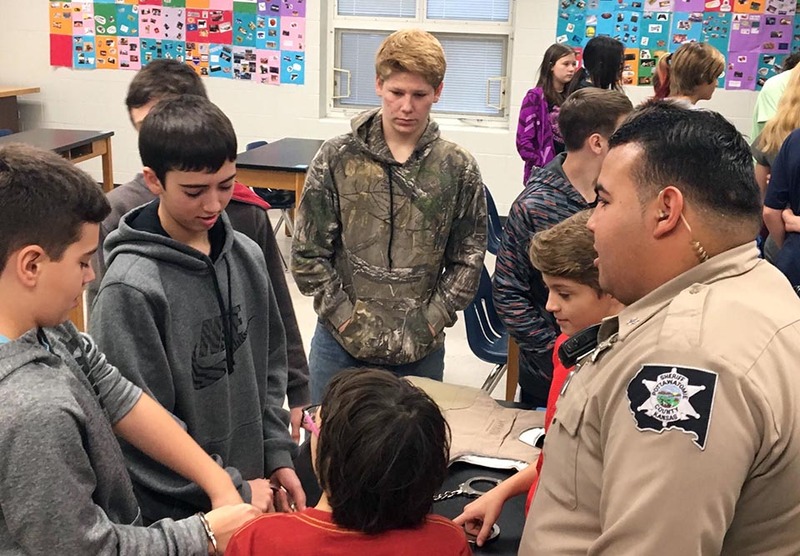 On Dec. 21, the junior high staff at Rock Creek hosted the first junior high Career Day, which junior high students said helped them determine their options for what they would like to do in the future. “I learned about like what different careers do,” eighth grader Shelby Helget said. Seventh grade English teacher Andrew Trent said he and other junior high staff members have plans to do this multiple times during students’ junior high careers. On Dec. 21, the junior high students had a day full of learning opportunities. All students were sent to their assigned advisors, and each room had a guest speaker. Each guest speaker had 20 to 35 minutes to talk about their career and about their path to get their job. The students got breaks in between each speaker, then they went to a different room and listened to a different person talking about a different occupation. This program benefits the junior high students by giving them options and hopefully motivates them to work harder when they see what they need to achieve to be working their dream job, according to Trent. “It also includes a goal to teach students about the career clusters as organized by the state of Kansas and to try and help them understand different kinds of jobs or career opportunities that are out there,” Trent said. Junior high students were excited to see that they have options and new opportunities after they are done with school and moving forward with their careers. “We got in our advisors, and we went to different classrooms because in every classroom, there was a different person for every job,” seventh grader Seth Figge said.